In November 2018, Santa Monica College joined the nationwide NOOC campaign. Reprinted below is a letter that Santa Monica College President Kathryn E. Jeffery, Ph.D. sent to the student body to kick off the activities. We welcome the faculty and students of SMC to the Not On Our Campus movement. Santa Monica College President Kathryn E. Jeffery, Ph.D. It is Election Day and I hope those among us who are able will exercise the right to vote and be heard. Your vote does matter. I write to let you know of a meaningful and timely campaign that has been launched at Santa Monica College today called “Not On Our Campus (NOOC).” SMC and its Associated Students have come together to join the nationwide NOOC campaign. Several events are scheduled, the first of which was held today in front of the library on SMC’s main campus. This campaign will be ongoing and you will have many more opportunities to participate and play a role in keeping SMC a great place to learn and thrive. The NOOC campaign seeks to empower every member of the SMC community to join in creating and maintaining a safe and inclusive environment. The objective of SMC’s NOOC campaign is to reinforce the values for which we stand as an institution . . . the values of diversity and inclusivity that leave no room for hate against any member of the college community based on actual or perceived race, nationality, religion, sexual orientation, gender or immigration status, among other things. I urge you to learn more about SMC’s NOOC campaign and to take part – see here for more information on upcoming events and on the campaign itself. As current and emerging events on the international, national, and local fronts demonstrate, hate and bigotry continue to polarize and destroy—and, in so many instances and most tragically, take the lives of fellow human beings. 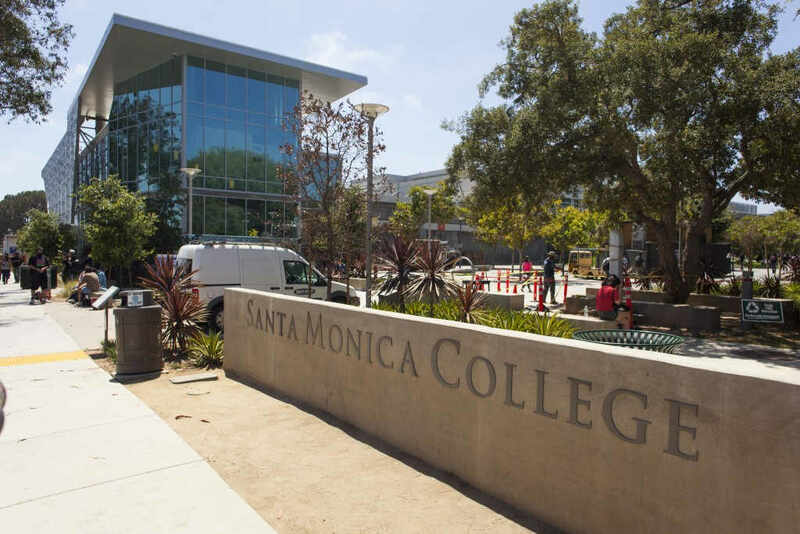 Here at Santa Monica College, we are engaged in the often-difficult work of transformation through education, learning to create the best version of ourselves to help make the world a better place. The leadership of SMC has been and will continue to be clear about the college’s commitment to being a safe, inclusive, and dynamic learning environment. As I have mentioned in several previous messages, that commitment is emphasized in our mission statement—and our Board of Trustees reinforced it in a January 2017 resolution. I reiterate—and will continue to do so as long as it is needed—that this process of being or becoming a place where everyone feels welcome cannot be the responsibility of just one group or segment of the SMC community. In order to truly make a difference, we must all see ourselves as agents of change and be willing to engage in the work of creating the needed transformation. We are together in this world we share. Being a community as we are at Santa Monica College does not mean we must always agree. Many of us grapple with the question of what the world will look like in the years to come, and how it will affect us and those we care about. Regardless of where we stand, I think we can all agree that positive change requires meaningful interaction, an ability to create an inviting environment for dialogue and a desire to make things better for everyone. This is why education at SMC is built around ideals like intellectual inquiry, ethical behavior, and collegiality. Please take part in the NOOC campaign. Spread the word about it. When you see an SMC community member, or any fellow human being, targeted by hate and intolerance, speak up. The SMC Student Code of Conduct makes clear what constitutes a hate crime or incident. You can make a commitment through the NOOC movement, join dialogue and participate in conversations, hear speakers, and take part in community-building activities. In the days to come, you will hear more about it via social media or email. Together, we can build a community where respect and inclusivity thrive. Together, we can ensure that hate, prejudice, discrimination, and all forms of intolerance have no room—on any SMC campus.